Risks and complications with a knee prosthesis. When should you consider a knee prosthesis? When someone suffers from knee-osteoarthritis that he or she cannot function well in daily life and when the risk for surgical complications in this person can be overlooked, a joint replacement will be considered. This is known as a knee prosthesis. Age increases the risk of complications, for example, elderly people have more chance of complications due to the anesthesia and they are not always vital enough to rehabilitate well. In contrast, young people have to wait a considerable amount of time for a new knee, because a prosthesis only lasts for a limited number of years and multiple revisions of a prosthesis are not desirable. After all, upon securing or removing a new prosthesis, part of the bone is lost and after one or two revisions it is difficult for the orthopedic surgeon to insert a new prosthesis. Although many see joint replacement as the ultimate solution in knee-osteoarthritis, the situation is more complicated. There are roughly two categories of knee prostheses, ‘half knee prostheses’ and ‘total knee prostheses’. Sometimes osteoarthritis or another cartilage defects only affect one part of the joint. This especially occurs in people with bowlegged or knock-kneed legs. They might possibly be eligible for a half knee prosthesis. There is a chance that after insertion of a half knee prosthesis the other part of the (still viable) cartilage can deteriorate faster. Unfortunately, it is not uncommon that a whole knee prosthesis has to replace the half knee prosthesis. When the cartilage problem affects the whole joint, your doctor will recommend a total knee prosthesis. Furthermore, there is the possibility to leave the patella (knee disc) intact, or also replace by a so-called patella prosthesis although this has not shown to be necessary per se. One might choose to use bone cement to secure the prosthesis or not. Your doctor will address these issues for each individual case. As with all medical procedures, scientists continue to research ways to improve knee prostheses. The focus of research is in relation to the durability of the prostheses, as well as function after surgery. In some situations, a knee prosthesis may be right for you, but make sure you educate yourself first. 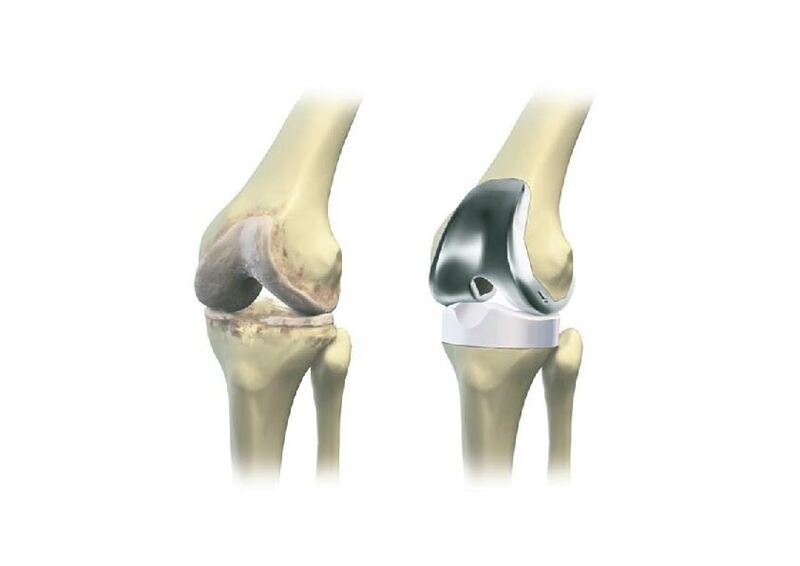 As of today, no prosthesis exists that exactly mimics the normal function of the knee joint. One in five patients with a knee prosthesis indicates that it feels different from their own knee. Thanks to technological developments, knee prostheses can, however, mimic the normal knee movement even better. Typically, scientists and doctors will conduct independent research as new knee prostheses enter the market. This ensures viability, safety, and improvements in the market. 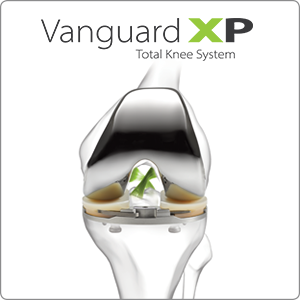 Two examples of recent knee replacement systems on the market are the Vanguard XP and the Journey II. With standard prostheses, the surgeon will remove the front and most of the back knee bands to make space for implantation of the knee prosthesis. The new Vanguard XP, which is a new type of prosthesis on the market, has a new shape allowing the retention of both knee bands. Experiences abroad and computer models show that this knee prosthesis mimics the natural flexibility of the knee better than the widely used standard prosthesis. The Journey II knee prosthesis is the successor of the Journey I, which also promised more flexibility. 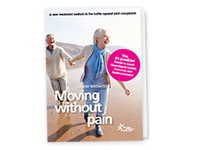 Between 2010 and 2012, 124 patients of the Saint Martin’s clinic, in the Netherlands, participated in a study of the effectiveness of the Journey I prosthesis. 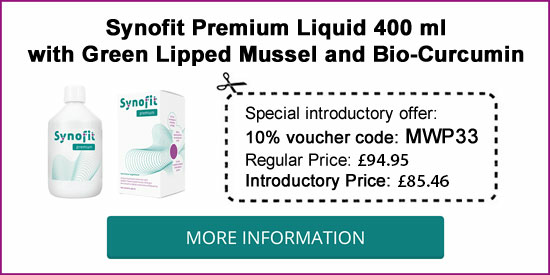 Sixty-two of those patients had this prosthesis implanted. After a year, it appeared that this prosthesis did not provide significantly more flexibility than other knee prostheses, but did result in more complications. Comparable international studies showed similar results. says one of the Saint Martin’s doctors. The manufacturer internationally talked to orthopedic surgeons in response to these and other scientific results. These studies resulted in a knee prosthesis that promises to bring the natural function of the knee a step closer. Both prostheses have been on the market for a longer period in the United States. The first experiences from orthopedic surgeons are positive. That is why the orthopedic surgeons of the Saint Martin’s clinic decided to study the efficiency of these prostheses. Orthopedic surgeons and scientists of the Saint Martin’s clinic will follow the patients for the next two years. Results are expected in early 2016. In this animation video, you can see the usual implantation of a knee prosthesis. After the implantation of a knee prosthesis, an X-ray of the knee is immediately taken. This way, the surgeon can see immediately see if everything is all right. Here you can see an example of such an X-ray. Left: front-side view of the knee with the prosthesis. 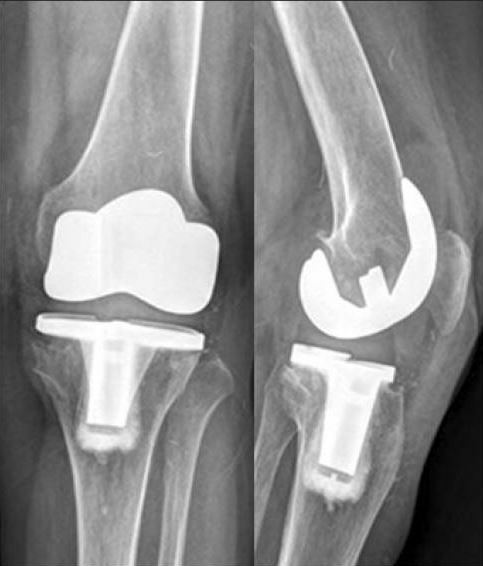 Right: same view of the same knee with the prosthesis. Read more articles in our knowledge center. Source of the text from the 4thparagraph: the MaartensMagazine (a quarterly magazine with news and new developments within the Saint Martin’s clinic), issue: fall 2014, p. 14. Source animation video: Dutch Orthopedic Society (NOV), Dr. H.J. Mencke. Source X-ray: Hwang, S.-C. et al. 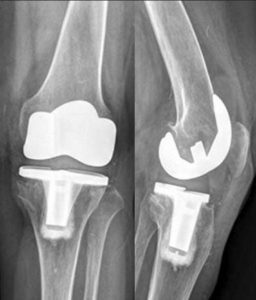 (2010) Revision total knee arthroplasty with a cemented posterior stabilized, condylar constrained or fully constrained prosthesis: a minimum 2-year follow-up analysis. Clinics in Orthopedic Surgery 2:112–120.